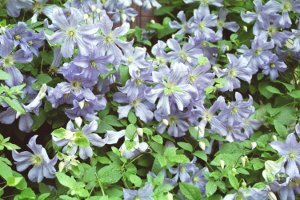 Prince Charles Clematis: goes well with daylilies. limited space, this clematis will bloom very heavily through mid summer. With nearly blue flowers, Charles is much prettier than his namesake.